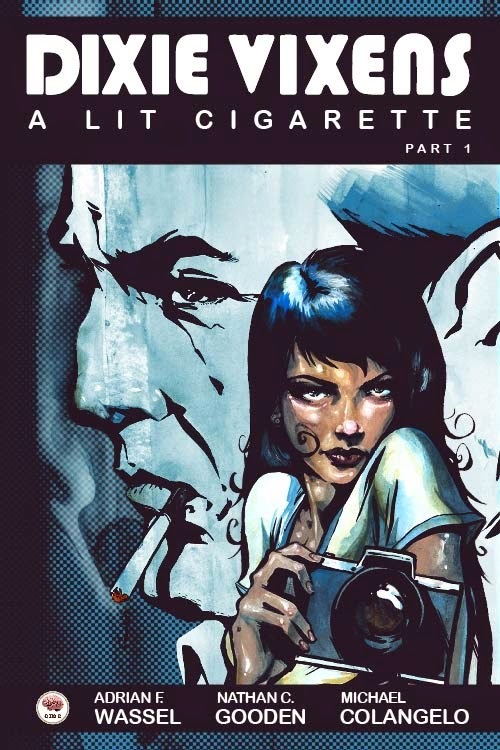 Graphic novel publisher CME has announced that their second title Dixie Vixens Volume 1: A Lit Cigarette (ISBN 978-1-939424-13-6) will hit stores April 2015. This 120 page, full color softcover is an action-filled crime thriller that follows three women into a world of corruption and intrigue veiled in kudzu and Chantilly lace. Considering college road trips never go as planned, Dixie Vixens is a mature reader’s title. The book will be available both digitally and in print. Customers looking to order CME titles should contact their local retailer, or find a comic shop near them at www.comicshoplocator.com. Darcy, Kat, and Alley room together in New York City, where they have just finished their undergraduate degrees. To celebrate graduation, and get in one last jaunt before life takes them separate directions, they go on a long road-trip Southbound through Darcy’s and Kat’s stomping grounds. When they survive a bad accident, they find themselves stuck in the middle of nowhere at witching hour. Searching for help, the girls stumble across a KKK rally. But their trouble doesn’t end there. Corruption runs a nearby town, making its way up to big corporations all through the South. Rather than hightail it home, these girls use everything in their repertoire to put out the fire smoldering in Dixie. You can find CME products in traditional book stores as well as comic book shops. CME will be exhibiting at WonderCon, San Diego Comic Con and Baltimore Comic Con.